FLORA, Mississippi - January 9, 2017 - Primos Hunting, a leading innovator of game calls and hunting accessories, will host hunting celebrity Jim Shockey and unveil several new products, including calls and trail cameras at the 2018 ATA Show in Indianapolis January 11-13. 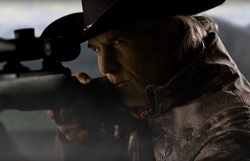 Jim Shockey was the first man to complete the North American Super Slam and Ultimate Slams using only a muzzleloader. He has registered 88 world-record animals over the 340 species he has harvested in his travels to more than 45 countries. It’s no wonder Shockey’s signature Primos Trigger Sticks are so highly regarded. Shockey will host a question-and-answer session at the Primos Booth (#1907) Thursday, January 11, from 9:00 to 10:00 a.m.
Primos will also display a host of new products, headlined by the new Primos Proof Cellular trail camera - the first cellular trail camera with an MSRP less than $200. The Proof Cellular follows a bloodline anchored in simplicity. The 16MP HD camera sends high-quality images from the field to phone with one-button setup and no contracts. It works with any smartphone, no matter the provider, with an MSRP of $199. Simple activation and data plans let hunters focus on the pictures and not the camera set up. It offers .2-second trigger speed and true 720p HD video, giving hunters a high-performance, easy-to-use cellular trail camera that won’t break the bank. Primos also debuts several new turkey calls, including the Drag Strip drag-style friction call, Tall Timber Gabriel premium box call, 30-year anniversary Truth Box, a new line of camouflage-tape mouth calls and the innovative new Double Bull SurroundView blind. The blind will be unveiled at a booth event at 9 a.m. on January 11 in booth #1907. All attendees are welcome and can be registered to win one of the new blinds. Attendees to the 2018 ATA Show can see these new products and more at the Primos Booth (#1907).